Naughty Dog’s PS4 Game = Savage Starlight? Let me come right out-the-gate with the fact that all of this is nothing but speculation, so don’t get too excited just yet. But, this is some pretty educated speculating going on here, so it’s still fascinating nonetheless. Malik, owner of MaxLevel, has brought to Playstation fans’ attention that Naughty Dog’s PS4 game may actually be a sci-fi affair. 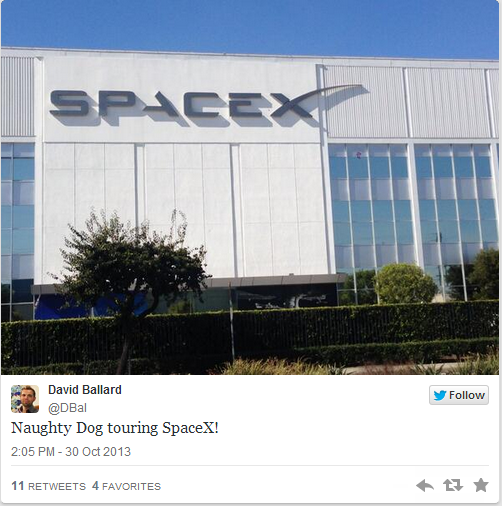 As Malik points out, Naughty Dog’s environment artist David Ballard posted a Tweet recently showing a picture of SpaceX, claiming that Naughty Dog was about to begin their tour of it. Malik then cleverly connects this fact with the possibility that Naughty Dog may be attending this SpaceX tour in order for inspiration and direction of their next-generation game, and frankly, I think he’s on to something. Anyone who has played and finished The Last of Us should be aware of the comics in the game titled “Savage Starlight.” The cover shows a man and a woman in sci-fi suits holding futuristic firearms. I repeat: A man and a female companion. Does that not scream ‘Naughty Dog game!’ to you? But more obviously, of course, the fact that the Savage Starlight comic if of course set in a space/sci-fi setting, Naughty Dog’s tour of SpaceX seems to mean a lot more than one would normally think. 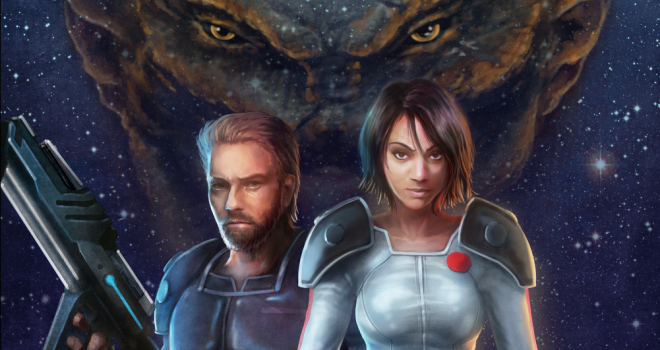 Also, the domain SavageStarlight.com has actually already been registered and is currently up with the cover page of the comic seen in The Last of Us. This is too coincidental in my eyes to not be true. It seems like the Savage Starlight comics may have actually been a real Easter Egg to what Naughty Dog’s other team was working on at the that time. We could very well expect Naughty Dog’s PS4 title to be set in a futuristic, outer space setting. The guy on the left kinda looks like Troy Baker.